Hand painted Fine art replica of an Oliver Cromwell Portrait by Fabulous Masterpieces. This custom made portrait measures 45cm x 37cm and cost £400. Here is our oil portrait of a young Oliver Cromwell (1599 – 1658). 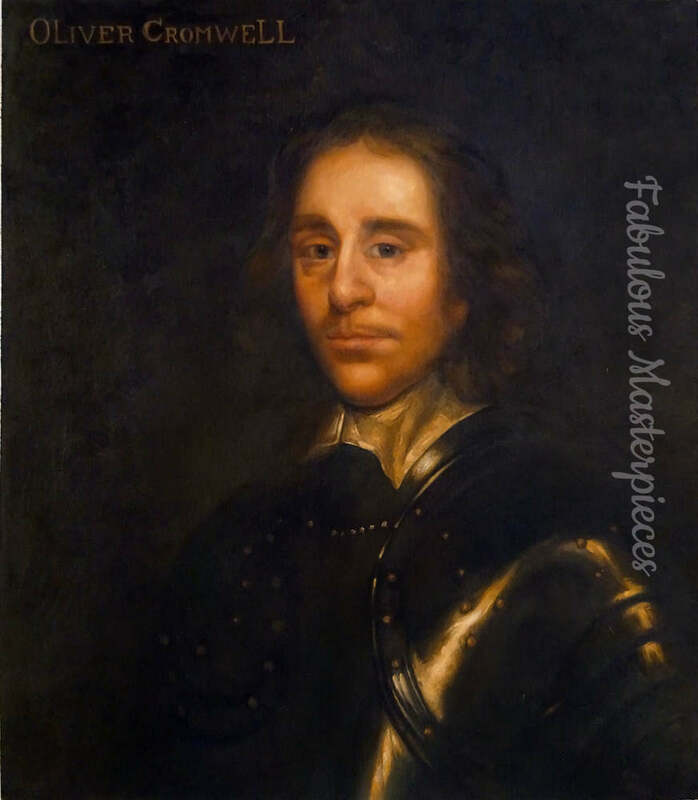 The Original British school portrait was painted in the style of Robert Walker, who was an English portrait artist, notable for his portraits of the “Lord Protector” Oliver Cromwell. What is interesting about this portrait is that the portrait was displayed upside down as a statement against Cromwell the regicide. The owner of this portrait, Prince Frederick Duleep Singh who originally purchased it was an ardent monarchist. When he died the upside down Oliver Cromwell portrait was given to Inverness Art Gallery. If you would like to see more examples of our artwork please take a look at our art reproduction portfolio. We’re a fine art reproduction company called Fabulous Masterpieces based in London UK that solely concentrates on painting high quality reproduction oil paintings. We’ve even produced a magazine on the topic to help you out if you want to learn more about fine art copies. Just click on the image above. Have an art reproduction question? We’d love to hear from you! If you would like to add something, or ask a question concerning our art reproductions please email tim@fabulousmasterpieces.co.uk or leave a comment.